The Guyana Oil Company Ltd (GuyOil) on Tuesday announced a reduction in prices for gasolene and gasoil (LSD) from Wednesday July 10, 2018. The state-owned oil company said gasolene price would be reduced from $230 per litre to $226 per litre and gasoil (LSD) from $219 per litre to $215 per litre. being passed on to customers,” GuyOil said. GuyOil assured that it was committed to maintaining competitive prices and any savings as a result of declining acquisition cost will at all times be passed on to the customers. 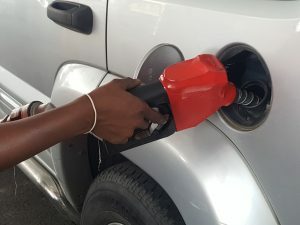 The slight reduction in fuel prices came days after the Private Sector Commission had called on government to remove the taxes to ensure fuel prices do not skyrocket and affect the cost of living. Minibus operators on some routes had also begun increasing fares.